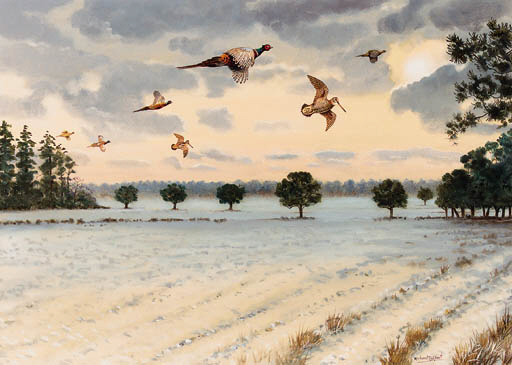 B. Martin, The Pheasant, Holt, 1994-95, pl. 11. Robjent illustrated a number of books including B. Martin, The Pheasant, Holt, 1994-95. See lots 167 and 185 for further illustrations from the book. The Pheasent, 1994-95 pl. 11 but is not the same work.